Today marks the 15th anniversary of the worst Islamic terror attack in our nation’s history. Most of the people reading this article can remember quite vividly where they were when the attacks came. I know I can — like it was yesterday. However, our children likely do not. Those of us with children born on or after September 11th, 2001 are faced with the task of making sure we teach our children well about the 9/11 attacks. Most schools only do a brief lesson, if that, on 9/11. 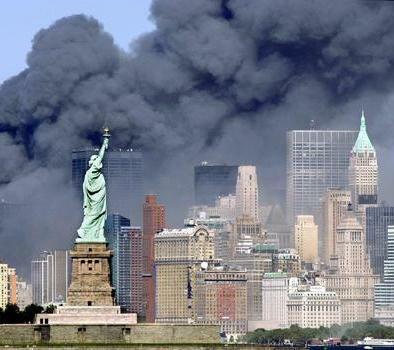 In fact, only 21 states have 9/11 lessons embedded in their curriculum. Parents cannot and should not rely on schools to instruct their children about this event. This is not just their job. It’s yours. As I learned first hand through my own kids, elementary coverage of 9/11 is very sanitized. For some parents, that’s a good thing — we should be discussing a topic like this with our young children ourselves. For others not inclined to talk about it with their children, this leaves a void that can be filled by educators who may or may not discuss the attacks factually or in a balanced manner. The University of North Carolina offers a, “Literature of 9/11” course. The College Fix found that this course’s materials portrayed the terrorists as sympathetic and justifying their actions, whereas American political leaders were portrayed as, “greedy, war hungry and corrupt”. North Carolina’s Department of Public Instruction does include 9/11 in its World History course, but only briefly associated with, “how international crisis has impacted international politics”. This brief reference to 9/11 is unsurprising and lines up with what I wrote recently about an interview with two researchers following 9/11 coursework in our schools. While the study of such coursework found 9/11 referred to widely in high school curriculum, it also points to the controversial C3 Social Studies Framework and Common Core as the reason behind the lack specificity in high school coursework on 9/11. In a 2011 study of state high school social studies standards, we found content related to terrorism and 9/11 to be included widely. However, since that time, we have seen that 9/11-related standards are being left out from updated state standards, but I think that is largely because some states are shifting to common core standards and the C3 social studies framework (a national curriculum), which is less about specific facts or topics the students should learn and more about how they are learning it. Again, we need to teach our children well about 9/11. The 9/11 Memorial website might seem like good place to start. It’s not. They offer course suggestions for grades K-12. However these ‘lessons’ should be treated as guideline suggestions because these lessons are also sanitized, as well as being Common Core aligned. Parents, beware – Common Core has been known to be a vehicle for isolating you from your child. On a topic such as 9/11, it is imperative you don’t allow that to happen. For example, the 9/11 Fact Sheet For Early Childhood Students describes what happened on 9/11 without using the word ‘Islamic’, ‘Islam’ or ‘muslim’ a single time. “9/11” is shorthand for a date, September 11, 2001. On that date, a group of nineteen men crashed two airplanes into the Twin Towers and one into the Pentagon outside of Washington DC. The men tried to crash a fourth plane into another building, but the passengers fought back and the plane crashed into an empty field in Pennsylvania. The men were born in other countries and were part of a group called “al-Qaeda”. Al-Qaeda is a terrorist group and the men were terrorists – they hurt others and caused damage to help get what they want. In the K-2 lessons, the emphasis on our first responders like firefighters isn’t what one would expect such as vignettes in their bravery, how many of them died trying to save others and so on. Instead, it’s a politically correct lesson on workplace gender bias. It gets worse in the 3-5 grade range where the 9/11 Memorial site’s lessons include material from the Southern Poverty Law Center’s “Teaching Tolerance” The lesson is called Accepting and Embracing Differences. The overwhelming message in this Teaching Tolerance ‘lesson’ is that we should be tolerant of those who try to murder us. Teaching Tolerance’s lessons are all Common Core aligned and, by their own admission, their purpose is to create social justice warriors starting in Kindergarten. Parents should run, not walk, away from any materials from this group. Parents should be vigilant for these materials appearing in the child’s classroom as Teaching Tolerance has made all of their resources “free” to teachers. Read in detail about Teaching Tolerance: Social Issues Activism Is Now “Common Core Aligned”. Once again, I will state that we need to teach our children well about 9/11. We should not be teaching them white-washed accounts from a website, nor from a set of Common Core aligned, politically correct lessons. Our own experiences are where we should be starting from. Begin with where you were when you heard the news. Give them your true reactions, whatever they may be. Also offer your child or children a broader view by pulling up the original news cast videos. I’ve created an archive of 9/11 related videos, which I’ve explored with my oldest child already. I’ve shared my own story of where I was on that day with them as well. My oldest, now 9 going on 10, has a strong grasp of what happened that day, how emotional it was and the reality of the events of that day. When his sibling is perhaps a year older, I’ll spend time with him recounting that day, who did it, why they did it, how we reacted, how we recovered and offering him the same resources to draw from. Your children learn the most about being human and about the world around them from one major source: You. This entry was posted in 9/11, Common Core, EDUCATION, LL1885, Terrorism, The Articles and tagged 9/11, Common Core Aligned, Teaching Tolerance. Bookmark the permalink. that the 9/11 attacks were driven by al-Qaeda’s extreme intolerance, rooted in a rigid ideology of hatred and social control that claims to speak on behalf of all Muslims. Under no authority but its own, al-Qaeda acted on extreme beliefs to achieve extreme ends. As a result, we have brutal evidence of the depths that intolerance can reach. Yet again, we have seen how important it is for people to respect one another. Direct quote from teaching tolerance. You are a liar. How does that white washed quote make me a liar? Teaching Tolerance is straight up social justice bullcrap. When will public school teachers who lived through that horrific day actually take a stand and speak out against this lying, indoctrinating garbage of a curriculum? Really, what WILL it take for you to not be such a bunch of cowards?